Brand: Gross Gus's Dinosaur Dung Chocolate Soda. Review: It smelled like chocolate. And it TASTED like chocolate. 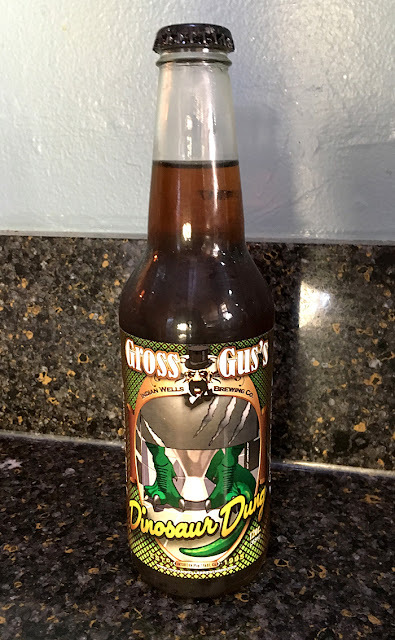 This was much better than the first chocolate soda I had a few years ago, although some of the same things can be said about it: it tasted a bit like a liquid Tootsie Rolls, and it's mainly "sip-able" (not really "drinkable"). But the flavor was much better in this one. It still wasn't GREAT, but I'll give this an average score. If you like chocolate and are intrigued, check this one out.